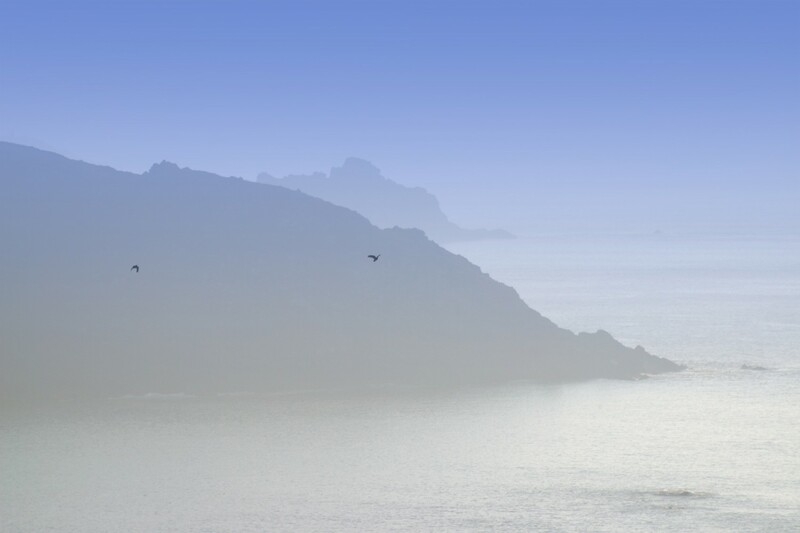 The new year brings stormy weather and winter frosts, making life tougher for the Jersey choughs. Frosty morning for the released birds. (Picture Liz Corry). The choughs are now foraging in different locations, possibly due to less insects being available in their regular haunts. The report features some more video footage showing the birds feeding in the release aviary. There is also footage of the birds enjoying a clear winter sky, with males showing a keen interest in the females in the group. Blue and her partner in the release aviary. (Picture Liz Corry). 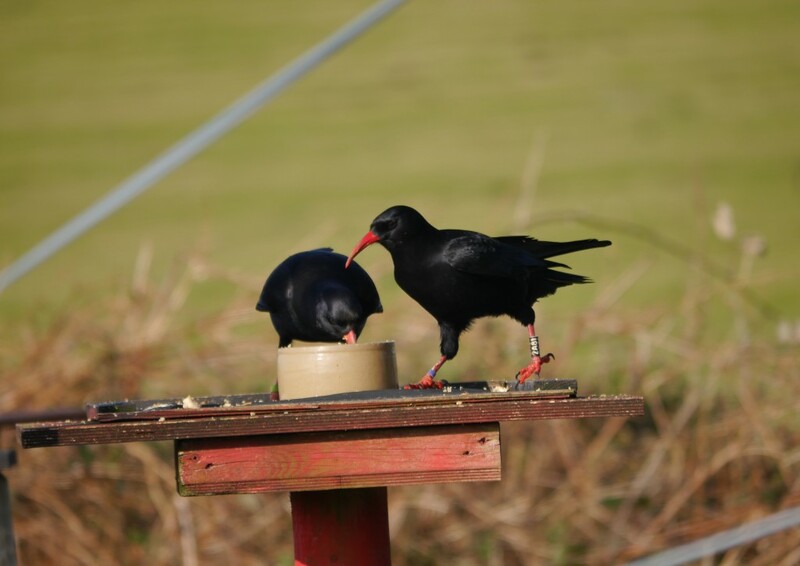 So far all the released choughs have done well over the winter months, and survival rates have exceeded expectations. However, the report does end with the news that Blue has gone missing. Blue is one of the first wild choughs to breed on Jersey – raising her son Dusty last summer. This entry was posted in Jersey, News on 25th January 2016 by RayHales.